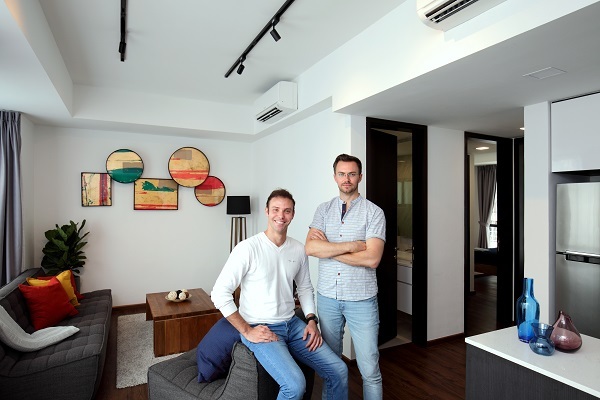 A 65-year-old Singaporean property investor called Mrs Lim has been credited with giving the co-founders of Hmlet a leg-up in their co-living business in Singapore. In 2016, after speaking with Yoan Kamalski and Zenos Schmickrath, Lim decided to lease out her three-bedroom unit at Riverwalk Apartments to them as a test run for their co-living business. Since 2016, the company has gained 250 members, across 36 nationalities. It started with renting units from individual landlords, but now also manages entire buildings to achieve economies of scale. 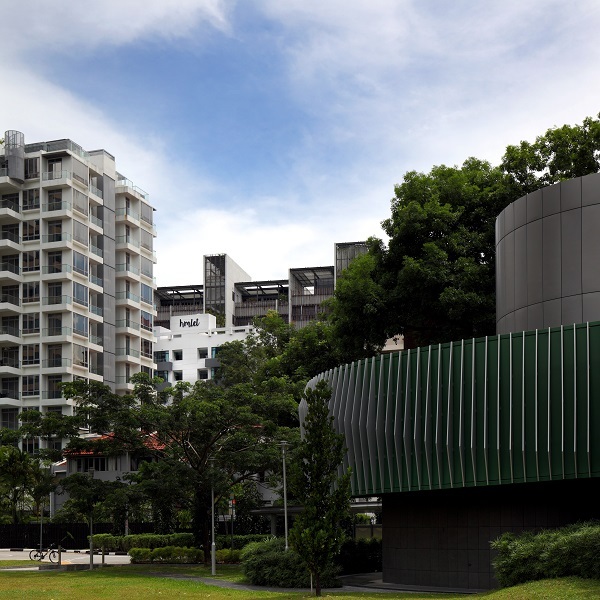 The first was Hmlet @ Joo Chiat, a building in East Coast that is owned by listed property group Oxley Holdings. The company’s latest offering is Hmlet @ Sarkies, located in a 32-unit apartment block called Portofino at 6 Sarkies Road, off Bukit Timah Road. Hmlet has leased the entire building from landlord ANB Investment. The co-founders of Hmlet spent a few months revamping the units and converting the building with a floor area of 30,000 sq ft into 84 rooms for co-living. The rooftop space has been turned into an entertainment deck that can be loaned out for private gigs. It comes complete with barbecue pits and a waterproof sofa set. As a finishing touch, the team hired a local Singaporean artist to paint murals on the walls. The basement car park has also been partially converted into a co-working lounge. Launched in April, Hmlet @ Sarkies is now 75% occupied and 100% leased.